Telligen, the Medicare Quality Improvement Organization for Iowa, is working to help reduce the complications associated with diabetes in the Adel area. According to the Center for Disease Control and Prevention, nearly 10 percent of the U.S. population is estimated to have diagnosed or undiagnosed diabetes. Additionally, diabetes was the country’s seventh leading cause of death in 2013. Telligen's goal is to provide eligible Medicare patients in the community with diabetes self-management education (DSME) classes. The classes are offered at no cost and will cover topics such as medication, nutrition, and foot and eye care. Each class is 1-1.5 hours long and will be held once a week for 6 weeks. 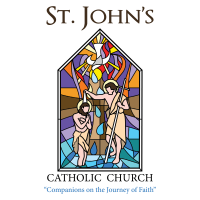 Classes are scheduled at St. John’s Catholic Church in the Parish Hall, on Tuesdays, April 30, 2019 through June 4, from 10:00 – 11:30 a.m. Register for the class series with Frann at 515-273-8807.